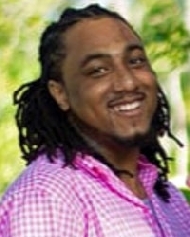 Antonio Pedro "Skwolla" Martins IV obituary. Carnes Funeral Home. Antonio Pedro “Skwolla” Martins IV was born in Texas City, Texas to Antonio Martins III and Marlowe Francis on 04/01/1991. He departed this life on August 9, 2015. He is preceded in death by his grandfather, Antonio Martins Jr. and his best friend Denshay Jarahd Benson. Antonio was introduced to Christ at the early age of 8 weeks upon his baptism and attended church at Queen of Peace Catholic Church where he received his first communion and reconciliation. He attended schools in the La Marque ISD and Clear Creek ISD where he received his high school diploma. He leaves to cherish his beautiful memories, his dad Tony Martins III, mother Marlowe Francis (James), his only brother Matthew Martins, fiancé Brooke Diaz, daughters Jordin and Aniyah Martins, paternal grandmother, Betty Martins, maternal grandmother, Betty Simpson, maternal grandfather, Michael Simpson Sr., Great Uncle, Kenneth Martins, Sr. and Great Aunt Patsy Richardson; Aunties, Beth Simpson, Jackie Martins, Uncles, Jed Simpson, Terrell Simpson, Michael (Lefornette) Simpson Jr., Gabriel (Michelle) Simpson, Godparents, Michael and Gale Hardeman, God brothers Jorden Carrier and Michael Hardeman, devoted cousins, Christopher Simpson, Darien Simpson, and Denzel Martins; devoted friends, Krisean Wilson, Byron Williams and Kenneth Moshay and an abundance of loving relatives and good friends. There is a Memorial Service Friday, September 19, 2015 at 6:00 PM followed by the Rosary at 7:30 PM. Both Services will be held in the Chapel of Carnes Funeral Home 3100 Gulf Freeway, Texas City, TX 77591. The Funeral Mass will be Saturday, September 19, 2015 at 10:00 AM at Queen of Peace Catholic Church 1224 Cedar Drive La Marque, TX 77568. Burial will follow at Grace Memorial Cemetery Hitchcock, TX. The family will have a reception at the Church Hall following the burial. Memorials may be sent to the Funeral Home.